Bournemouth’s newest venue, Eden Bar, had Ben Pearce host their launch night earlier this year. This time, Get Satisfied brought Ben back for a taste of his ‘Sextape Series’. If you don’t know the name, then you’ll defienitly know Ben Pearce’s platinum selling soul/house tune from 2013 ‘What I Might Do’. The ‘Sextape Series’ is a concept which pays homage to ‘sleazy disco’, soul and funk. Pearce was quoted saying, “It’s a night to leave inhibitions about what’s cool at the door and put hands in the air”. Eden made the perfect setting for the night; a vibe of fun and carefreeness. It certainly gave a flavour of what clubs would of played before the rave scene began. A calm, elegant sound to listen and sing along to. Throughout his two hour set, Pearce’s penchant for kitsch never waivers, and at the perfect time he delivered his coup de grace: “I Wanna Dance With Somebody”. The ballad was blasted across the room, and a familiar chant emanated from the mob. The sound of Whitney Houston is timeless, and is a testament to the DJ’s ability to read his crowd. It made for an effective and alternative night to that of a normal dance event. Get Satisfied are very good at that; being different. It will certainly only strengthen their position as an events organiser in Bournemouth. And, it doesn’t stop there. Read on for the rest of the feature on their second event in a week. As I’ve said before, Bournemouth has one of the UK’s best electronic music scenes, and Get Satisfied is one of the companies leading the way. Get Satisfied have had a healthy mix of big DJs at past events including Route 94, Eats Everything and Waze & Odyssey to name just a few. This time, their event was one of a kind for Bournemouth; a day rave running from 12pm to 10pm, boasting an impressive lineup of tech/house artists. Oddly, the event was held at one of Bournemouth University’s large exam hall, much to the amusement of some students. The event worked, though, and with the addition of strobes and an impressive backdrop to the stage it felt like a proper dance music venue. 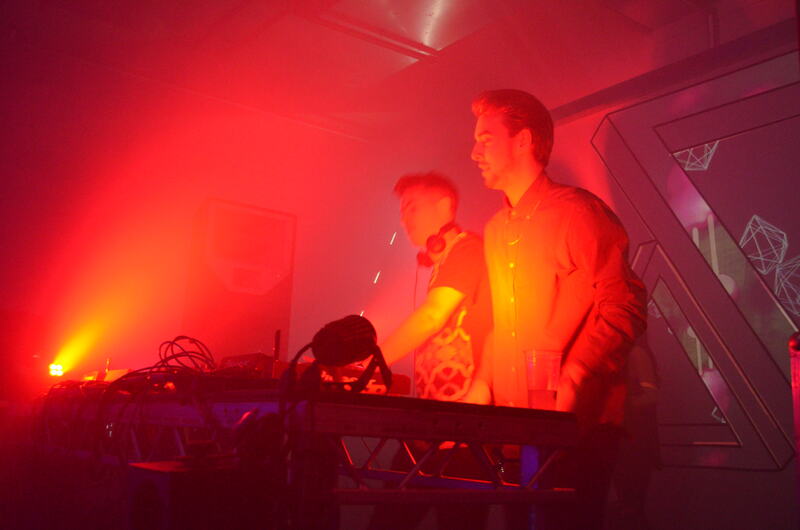 Get Satisfied showed us what they could do bringing us top Scottish DJ Jasper James back-to-back with tech DJ Skream. 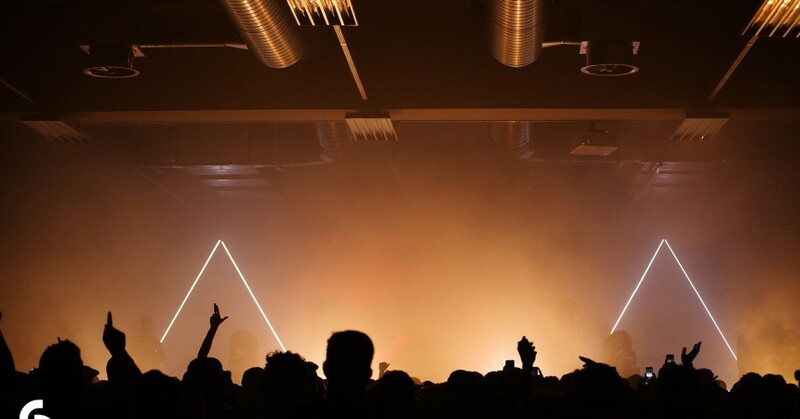 As well as other small artists Max Graef, Charlie Banks and Abstract Culture, electronic music DJ George Fitzgerald topped the bill. Scottish DJ Jasper James has music in his blood. I mean, literally: he’s son of Harri, longstanding resident DJ at Glasgow’s legendary Sub Club. Jasper is just 24 with a steadily rising profile in dance music, meaning he’s well on his way to becoming a top class DJ, just like his father. Jasper James joined us in Bournemouth for local company Get Satisfied’s day rave. He went back to back with fellow techno DJ Skream. James’ debut EP ‘Sneaky’ sparked the beginning of a meteoric rise in the dance world. 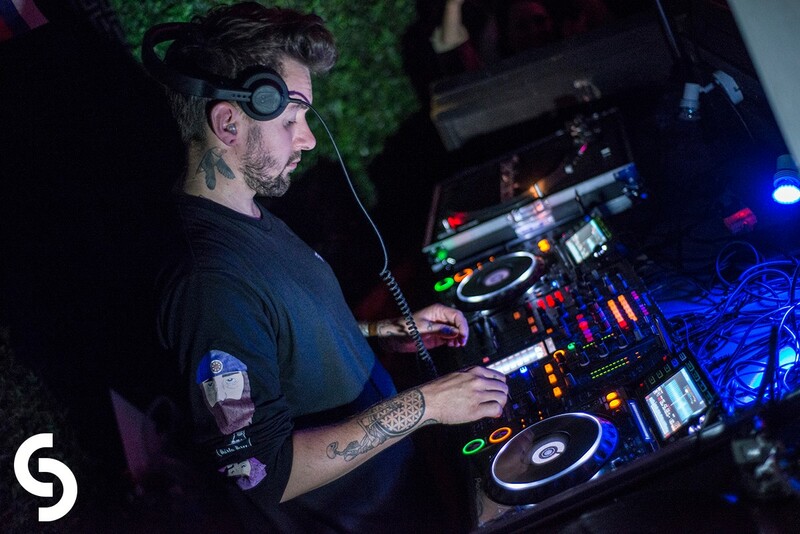 The rhythmic percussion and funky beats of the EP made sure that its content became regular rotation in some of the biggest DJ’s sets including Bicep and Eats Everything. This saw Jasper explode onto bills across Europe’s biggest clubs, developing a sound reputation for rolling out prime dancefloor-focused cuts of house and techno. Given the DJ’s upbringing with his Dad in the DJ game from day 1, it’s no doubt that Jasper James was able to push himself to the next level. Learning to work the decks from his father, Jasper played his first ever set at age 13 at his Mum’s 40th birthday. Just recently, one of London’s newest clubs Phonox has signed Jasper James up for a weekly residency. The Scottish DJ will take the reins at Phonox every Saturday night, alongside a ‘Secret Guest’. 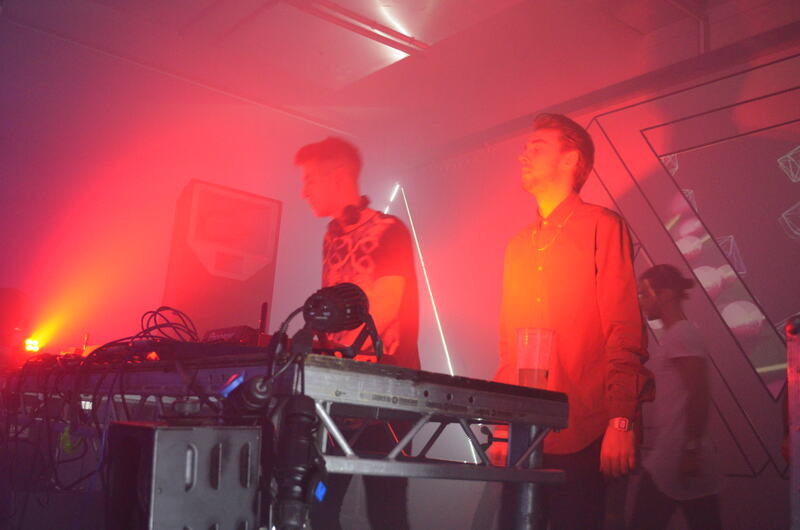 Although punters haven’t found out the guest DJs until they walked through the door, sharing the booth so far has been Jackmaster, Disclosure, Matt Tolfrey and Skream. Until 2012 Skream was a dubstep DJ, playing in clubs and at festivals, showing off his full-throttle brand of 140 BMP fare. That is now a thing of the past for Ollie Hones, who took the road of disco, house and techno. That meant he was at Get Satisfied’s event, playing back-to-back with Jasper James. Get Satisfied’s chosen lineup was one that was destined to impress, and drew a large amount of students to see the DJ play. Although, Skream was one at 3:30 in the afternoon, the makeshift warehouse that the race was in was blacked out, and could of easily passed for nighttime. It was only until you make your way to the smoking area that it was evident that it was the middle of the afternoon. 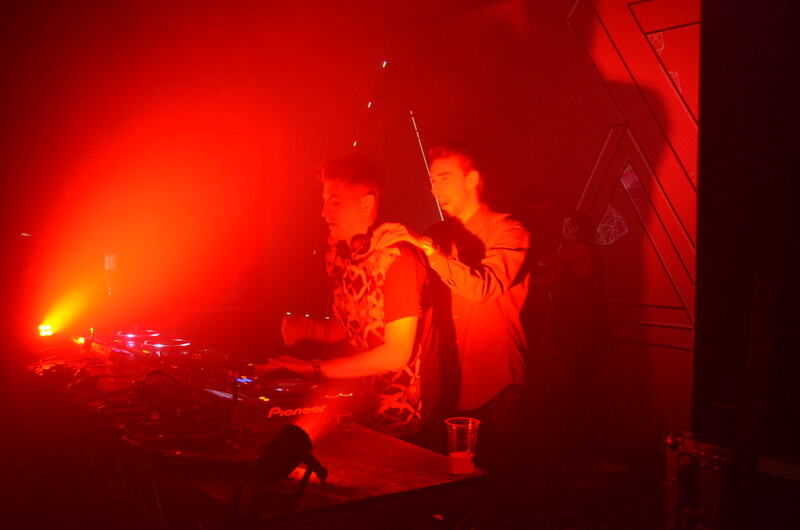 Skream’s high energy techno got the crowd warmed up; all ready for the other artists appearing later on. By the time the duo’s back-to-back set came to a close, the crowd had swelled considerably. 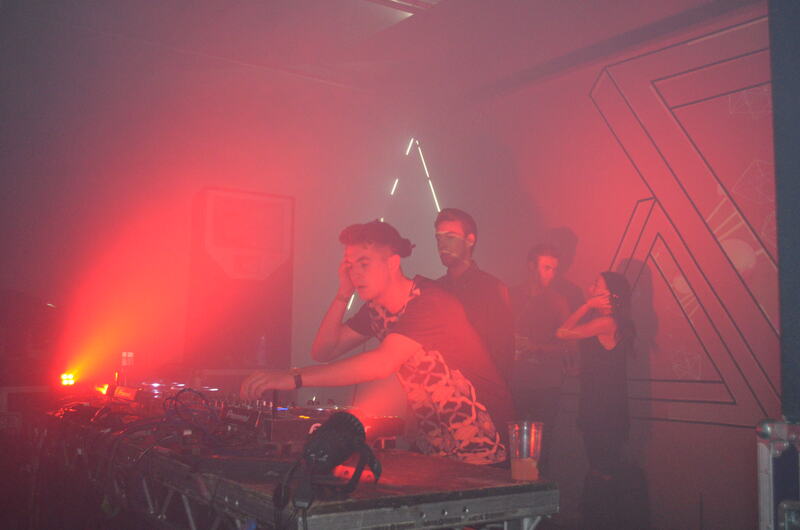 Skream was, as ever, entertaining, yet slightly confusing in equal measure. This is just the Skream we’ve come to know and love. His expertise and talent for DJing always shines through. And, just like when we saw him perform at Bugged Out Weekender back in January, this was not lost at the event at all. Moving onto the final headliner of the day: George Fitzgerald. 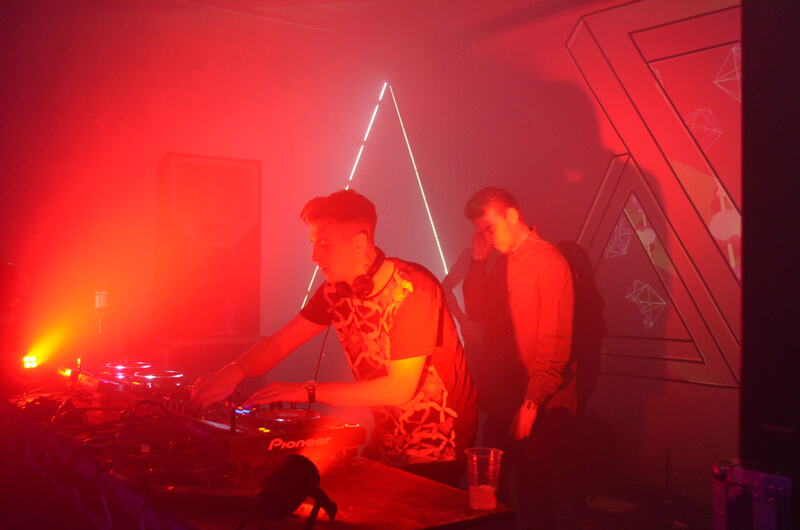 George’s appearance with Skream and Jasper James was certainly special. Fitzgerald’s unique, chilled techno was satisfying to watch, and gave the event something different to a standard dance event. George Fitzgerald created the perfect energetic atmosphere that was needed. Fitzgerald dropped one of his favourites ‘Full Circle’ to the delight of onlookers, demonstrating what an experience DJ he is. He couldn’t be faulted even once, nodding his head to the beat of the music. He did the event justice, and gave a sure, business-like performance. Although the event worked in its own right, and was well organised, come 10pm we were tired. It may be my personal opinion but tech/house can be samey, and after 7 constant hours of it, the event just felt like a trawl order; hoping between smoking area, bar and dance floor. This aside, we can’t wait for what Get Satisfied has in store for us next.